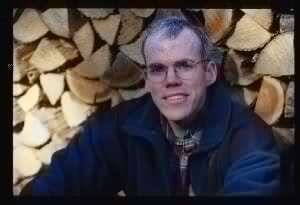 Bill McKibben is an environmental titan who has played a leading role in the war against climate change. McKibben is one of the most influential environmental figures of all times, he has played a crucial role building a new environmental movement and taking it to new heights. McKibben is a journalist and author. His first book, titled, “The End of Nature“, was published when he was only 28. He is also a former staff writer for the New Yorker and he has penned a number of powerful articles for publications such as the New York Times, New York Review of Books, Rolling Stone, Harper’s and National Geographic. McKibben’s greatest achievement is the co-founding of 350.org in March 2008. As the world’s first truly global grassroots climate change organization, McKibben’s work with 350.org has done more to advance the environmental movement than anything that proceeded it. In 2009, 350.org made history with their International Day of Climate Action. 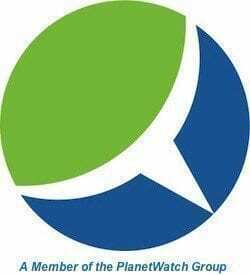 On October 10, 2010, 350.org staged an event called, “Global Work Party.” This was a day intended to celebrate climate solutions and encourage communities to work together on low carbon projects and clean energy. Global Work Party also called on governments to get involved in efforts to combat climate change. In 2011, McKibben and 350.org worked with others on a number of initiatives including a campaign called “The Next Big Thing” and “Moving Planet: Beyond Fossil Fuels.” Another 350.org campaign is titled “Power Shift,” it included a rally at the US Chamber of Commerce and youth conferences. McKibben has led the charge against a powerful and well funded fossil fuel industry while simultaneously advancing climate solutions. His efforts include pressure campaigns designed to marshal the political will necessary to take on Big Oil. More than any other person, McKibben has succeeded in revealing the fossil fuel industry’s destructive environmental impact. McKibben has called the fossil fuel industry “Public Enemy Number One to the survival of our planetary civilization,” and he described efforts to combat Big Oil as, “the fight of our lives.” His efforts to end our use of fossil fuels include well reasoned arguments about the need to divest. He has also eloquently debated the issue. Ahead of the Rio+20 meeting in 2012, 350.org organized a social media campaign to end fossil fuel subsidies. In addition to calling on governments to end fossil fuel subsidies through petitions and social media platforms like Twitter, he has also been at the forefront of efforts to oppose the Keystone XL pipeline. McKibben has even gone to jail due to his KXL protests. He has also shown how Big Oil funds climate denial on a global scale by misinforming the public and blocking attempts at regulating fossil fuel production and consumption. In his famous 2012 article titled “Global Warming’s Terrifying New Math,” McKibben spelled out the fossil fuel industry’s dangerous plans to push carbon levels far beyond climate tipping points. In this article, he shows how scientists estimate that we can add 565 Gigatons of carbon to the atmosphere if we are to have a chance of keeping temperature increases within the 2 degrees Celsius upper limit. The fossil fuel industry’s current plan is to dump an additional 2795 Gigatons of CO2 into the atmophere by 2050. That is five times the allowable limit. He has engaged people through a wide range of campaigns and a movie. He has been a leader of the divestment from fossil fuels movement and he has spearheaded successful campaigns at some of the world’s biggest universities including Middlebury College. As explained by McKibben, Universities will not be able to resist pressure to divest from fossil fuels. McKibben’s influence extends far beyond university campuses. The efforts of McKibben and 350.org have helped to encourage investors to divest from fossil fuels, this includes financial institutions, asset managers, universities, philanthropic trusts and religious institutions. In total more than 800 global investors including foundations such as the Rockefeller Brothers, religious groups, healthcare organizations, cities and universities have pledged to withdraw a total of $50 billion from fossil fuel investments over the next five years. In addition to combatting fossil fuels, McKibben has helped to galvanize public opinion in favor of a shift to renewable and alternate forms of energy. He recently announced that he will relinquish his role as Chairman of 350.org and assume the role of senior advisor. However, Mckibben is not retiring, he is merely changing his focus. McKibben realizes that there is still a long way to go if we are to have a chance of keeping temperature increases within acceptable limits. He will continue to play an active role devising strategies and organizing campaigns. Relinquishing his role as CEO will give him more time to write and engage universities, governments, environmental organizations, policy makers and the UNFCCC.